is the 4th major Project CARS Esports competition with €20,000 in prizes up for grabs. It takes place in the PC version of Project CARS 2. Previous seasons have seen teams like Oscaro and BAM win in spectacular rivalries. Now they're joined by the likes of Team Redline, VP Gaming, TX3, G2, and Veloce. The 2019 Major is the most competitive yet. The 2017 Project CARS World Championship culiminated in the amazing World Finals at Gamescom. SDL esports won the Championship Series, but their rivals BAM Thrustmaster took victory at the World Final. It all sets us up for an epic battle when the competition returns for the 2018 season. Catch-up on the story of the 2017 season at the news section of our official esports website. The 2016 championships were divided into two different kinds of racing. 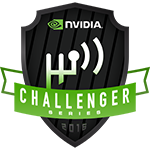 One for fixed setups in the NVIDIA Challenger Series, and one for open setups in the Logitech G Championship Series. SDL, BAM and Team Shark all won titles in 2016, and have gone on to establish themselves as some of the world's leading sim-racing teams. 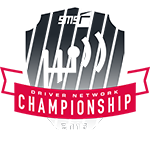 The 2015 Championship established the Project CARS esports scene as the leading competitive arena in sim-racing. An incredibly tight, year-long battle saw SDL crowned champions, with SoniK taking the drivers championship as well. SDL have continued to be a force in Project CARS esports ever since, and the Project CARS scene has grown from strength-to-strength. Following its success in previous SMS-R Majors, the multi-class format is back. Invited ‘Pro Class’ teams drive GT3 cars this time around - a perfect balance of power and grip, to challenge their talent and keep the racing close. The Pro Class teams feature two drivers per team, with one additional substitute, in case one of their drivers becomes unavailable during the season. These are some of the biggest names in sim-racing, all battling it out for the prestigious title of Project CARS 2 champions. The remaining slots on the 30-car grid are filled by drivers in the ‘Challenger Class’. They drive Touring Cars this year - a first in a major Project CARS Esports series. Challengers had to earn their place in the competition through Qualifying Rounds, open worldwide to all PC players. Over 3000 entrants were whittled down to the fastest top 10 after Qualifying and a Shootout Race to decide who would join the main Championship. The series prize fund is €20,000. The Pro Class prizes will be awarded to teams. In the Challenger Class, the prizes are for individual drivers. There are 4 online races in the main Series, after which the top 4 Pro Class teams, and top 8 Challenger Class drivers, will be invited to compete in LAN Finals at Mercedes-Benz World in the UK. The official tournament rules, and terms & conditions are available at the links below. Races are organised by Apex Online Racing and Events House, whom you may be familiar with from their stellar work on the Renault esports Series in 2018, and of course the superb AOR leagues. As always, you can look forward to watching all of the action online. Every race will be live on YouTube. Race reports and standings will be published on projectcarsesports.com. Be sure to follow @projectcarsgame, @playseatglobal, @apexonracing, & @eventshouse throughout the season.